Add your name to our mailing list to request an Institute brochure (mailed in October) and receive email updates. 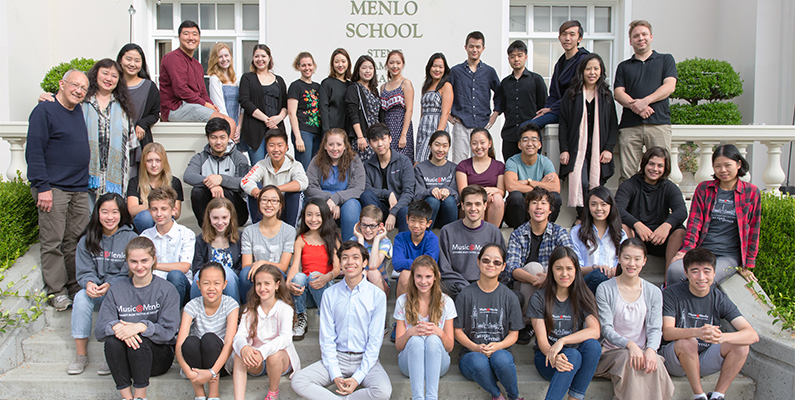 Music@Menlo’s Chamber Music Institute offers a rich, immersive experience for the most committed, curious, and artistically driven young musicians seeking the opportunity and inspiration to take their art to the highest level. Regarded among the world’s leading chamber music festivals for its innovative programming and artistic excellence, Music@Menlo offers string players and pianists ages nine to twenty-nine a unique opportunity to fully engage in a multitude of offerings including performances, lectures, master classes, and other educational events intended to nurture the artistry of the next generation’s most promising young musicians. Excitement, passion, commitment, and the spirit of curiosity are defining characteristics of our participants. Students are immersed in a musical atmosphere like no other, where the entire festival community is engaged in learning about the chamber music art form. We hope our young artists will take away with them the joy of learning, an understanding of what it takes to have a performing career at the highest level, a passion for developing new skills, the ability to listen to a concert as never before, and the knowledge that playing their instrument can not only satisfy themselves but spread the joy and nourishment that great music can bring to the lives of many. For a behind the scenes glimpse of the Chamber Music Institute, watch this. What makes Music@Menlo such a magical place? Click here.